‘Demonizing the other’ refers to depicting the other in the darkest hues, ascribing to them numerous vices and holding them responsible for one’s problems. Actually, most of our problems are largely caused by our own weaknesses and errors. Metaphorically speaking, our problems are due to the demons in our heart: demons such as lust, anger and greed. However, these demons being inside us are intangible. And when hounded by problems, we often feel the need for something tangible to quickly vent out our frustration. That’s why, some people start pounding a punching bag when confounded by something about which they can’t do much. 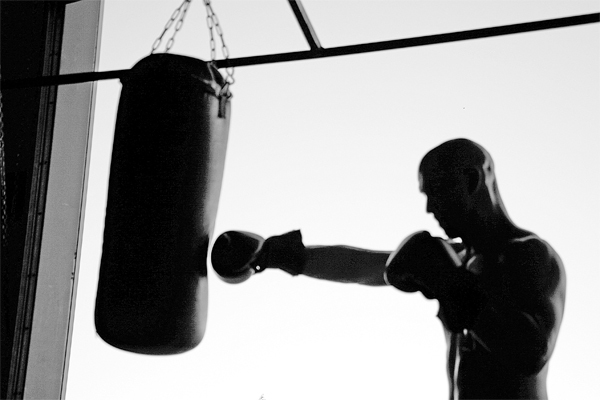 When we find ourselves in trouble due to our inner demons, we may seek relief by treating others as a punching bag. Similarly, when we find ourselves in trouble due to our inner demons, we may seek relief by treating others as a punching bag. Hitler, for example, demonized the Jews for the economic problems of Germany. In fact, such demonization of the other is at the root of most conflicts, including even conflicts among various religious groups. In religious contexts, demonization may even be reinforced by supposedly scriptural justification and a sense of moral self-righteousness. The irony of such demonization of the other is that it doesn’t do anything to remove the demons hither, inside us. To the contrary, it may even tighten their hold on us; we may well be playing into the hands of inner demons such as anger while we act out our righteous rage. Gita wisdom equips us to fight the temptation to demonize. The Bhagavad-gita (13.29) urges us to see all living beings equally: whatever groups they belong to materially, spiritually they are all souls, parts of God – as are we. Even when they do harmful things, Gita wisdom reminds us that everyone, even those troublemakers, are ultimately under the control of God, Krishna. And whatever he allows to happen in our life is an opportunity for us to learn and grow: learn in wisdom and grow in love, thereby breaking free from the clutches of our inner demons. By this enlightened vision of things, we can choose a wise course of action that combats our inner demons and also responds appropriately to the other. Will such a response be passive, sentencing us to be trampled by others? Not at all. Essentially, it will ensure that we won’t be trampled by our inner demons. We may respond assertively to others when necessary, but won’t be driven by negative emotions like anger and hatred. We will be inspired by the positive spirit of service, of doing the needful for the ultimate good of others and of our relationship with them. Those who live thus, the Gita assures, protect themselves from self-degradation and eventually attain lasting success.